What is our STEAM program? STEAM stands for STEM+Art/Design. The art and technology courses in our STEAM program let kids experience, through engaging activities, how art and design can be integral parts of STEM-related fields. In each of these courses, students work hands-on with various artistic media and explore how these connect to different STEM subjects. We conduct STEAM art and technology courses throughout the year on a recurring basis. During the school year we offer month-long courses that each meet once a week. Over the summer we run similar week-long courses that meet for an hour each day. Check out our courses for current and upcoming offerings. Currently, we are offering STEAM courses in LittleBits, Makey Makey, and 3D Design. What is our LittleBits course? LittleBits is an easy-to-use technology of electronic building blocks that snap together to form different circuits. In our LittleBits technology courses, students learn to expand on these circuits in building various electronic devices. They then progress to designing and creating projects, such as the shape-drawing Art Bot, that merge the LittleBits components with various artistic and other materials and objects. Students can take our LittleBits course as many times as desired, as each time there are separate sections for new and returning students with different exercises and projects. What is our Makey Makey course? Makey Makey technology allows students to playfully invent new devices for controlling computers and other digital technologies. For example, bananas can become the keys for an electronic piano or play-doh can be shaped into game controllers. Using Makey Makey kits, everyday items, and their imagination, students can transform different objects into computer keys, mice, and other accessories. 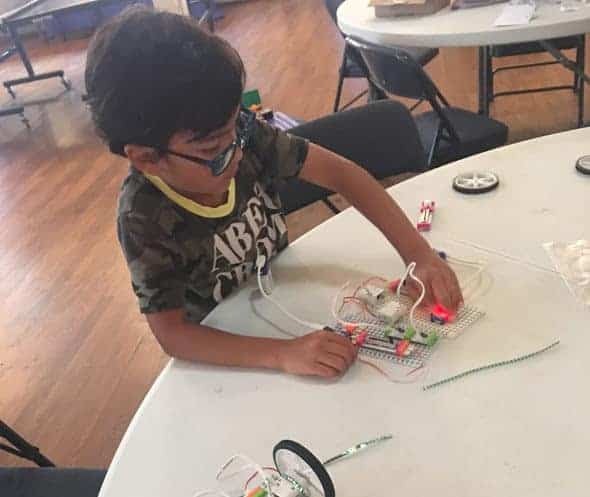 In our Makey Makey technology course, students learn about the fundamentals of circuits and digital interfacing while creating novel, innovative ways to connect digital technologies. 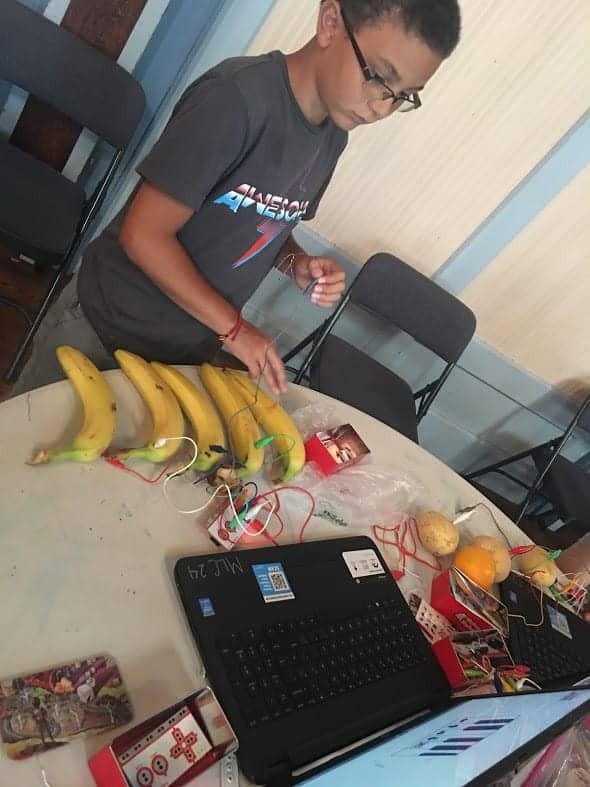 Students progress through our Makey Makey curriculum at their own rate, and can take the course as many times as desired, as there always new experiences to be had with this material. Have fun with your peers while are learning about advanced STEM topics: Build and program with Arduino, Program with Java and Python and more. Meet amazing guest speakers. What is our 3D Design course? In our 3D Design technology courses, students experience the fun of creating 3D designs using SketchUp modeling software. With SketchUp, students push and pull surfaces to turn them into 3D forms. They can then stretch, copy, rotate, and paint these forms to fashion a wide range of customized structures. These structures can range from buildings to various forms of transportation, etc. In our course, students use a combination of new modeling software skills and their own imagination to create their own individual design projects. Students are also exposed to 3D printing technology through use of our 3D printer. Students progress through our 3D Design curriculum at their own rate. 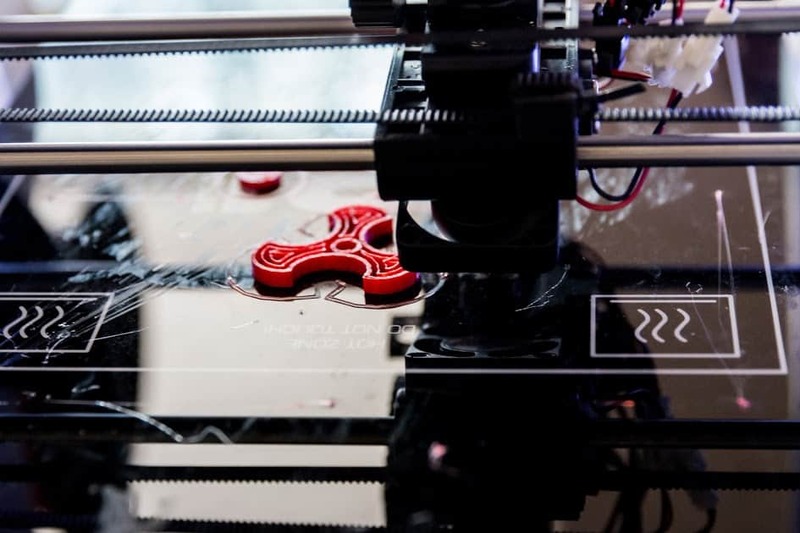 Students can take our 3D Design course as many times as desired, each time they can continue to build on their knowledge of computer-based design while undertaking new projects. With such a wide range of STEAM subject areas that we cover, there is value for everyone through our variety of STEAM courses.